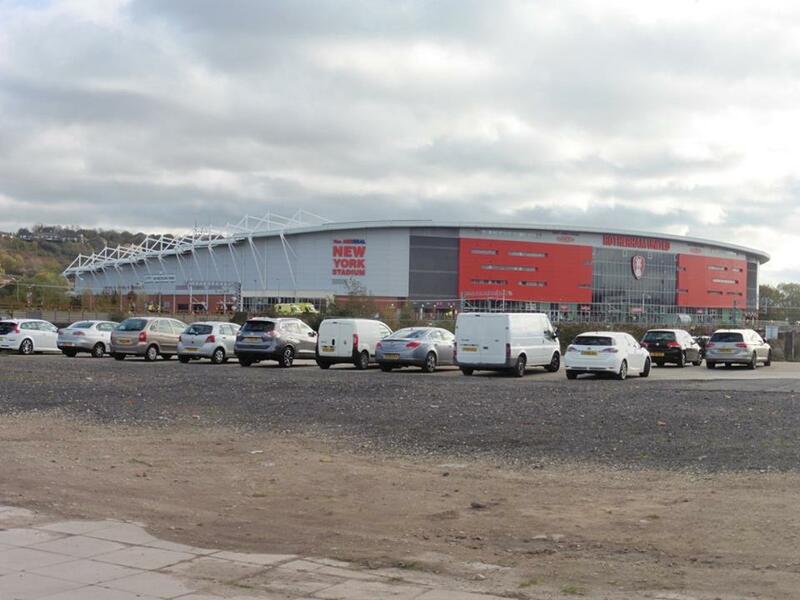 Last match I went to see: Rotherham United 1-3 Gillingham, Saturday 28th October 2017, League One. Rotherham United Football Club were formed in 1870. The club was formed as Thornhill Football Club (later Thornhill United). 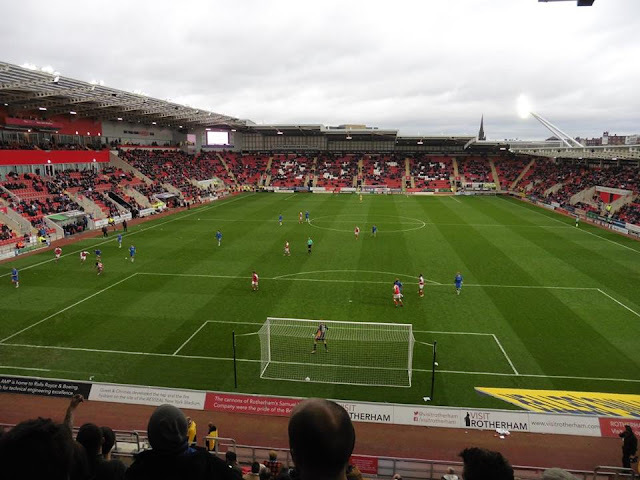 For many years, the leading team in the area was Rotherham Town FC. They spent 3 seasons in the Football League whilst Thornhill were still playing in the Sheffield & Hallamshire League. 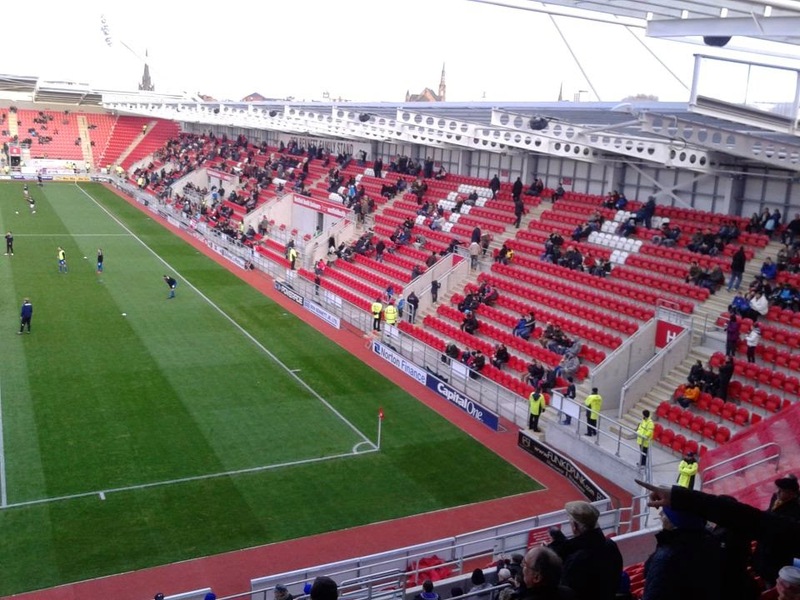 By the end of the century, Rotherham Town had resigned from the Football League and went out of business in 1896. Later on, a new club of the same name joined the Midland League. 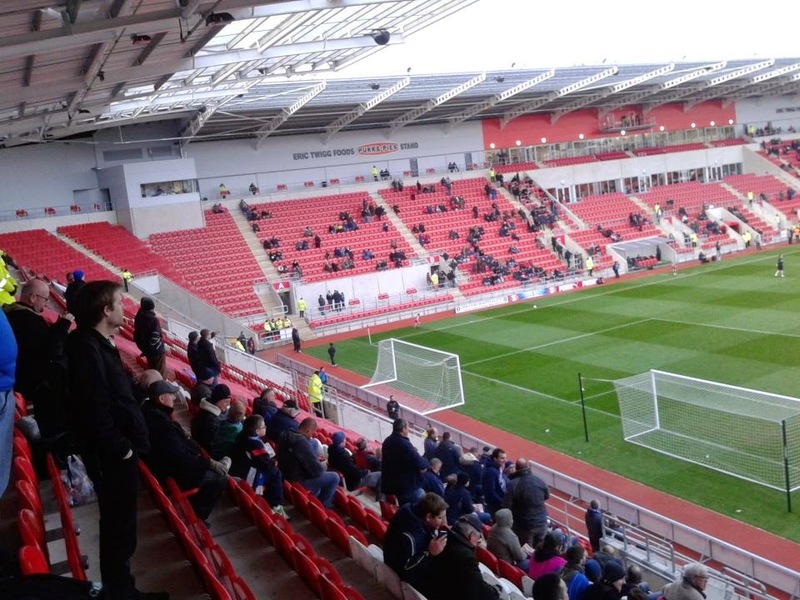 Rotherham Town who formed in 1899 dissolved again in 1925. 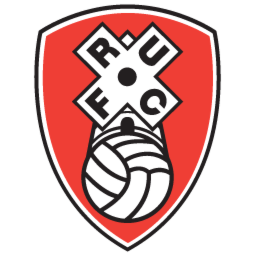 They merged with Rotherham County as Rotherham United FC. 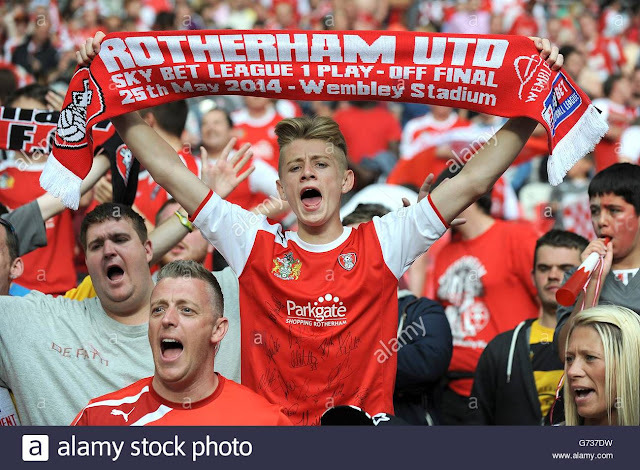 Rotherham's 1st trophy win came in 1946, winning the Football League Third Division North Cup beating Chester City 3-2. 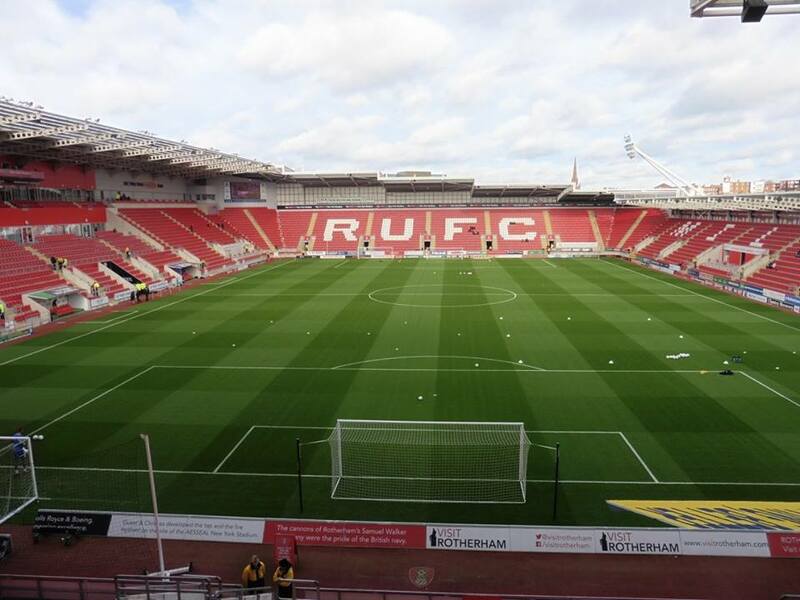 The furthest Rotherham have reached in the FA Cup is the 5th Round. Both times in 1953 and 1968, losing to Aston Villa and also Leicester City in a replay. 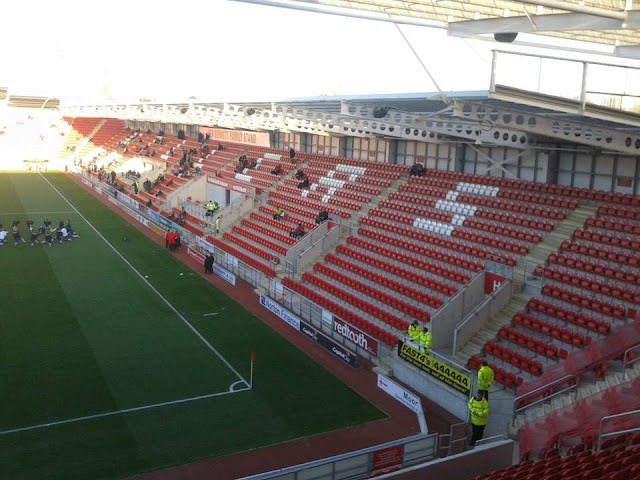 Rotherham's highest League is 3rd, in 1955 in the 2nd Division. They just missed out on promotion bar goal difference. Rotherham's previous home is Millmoor. 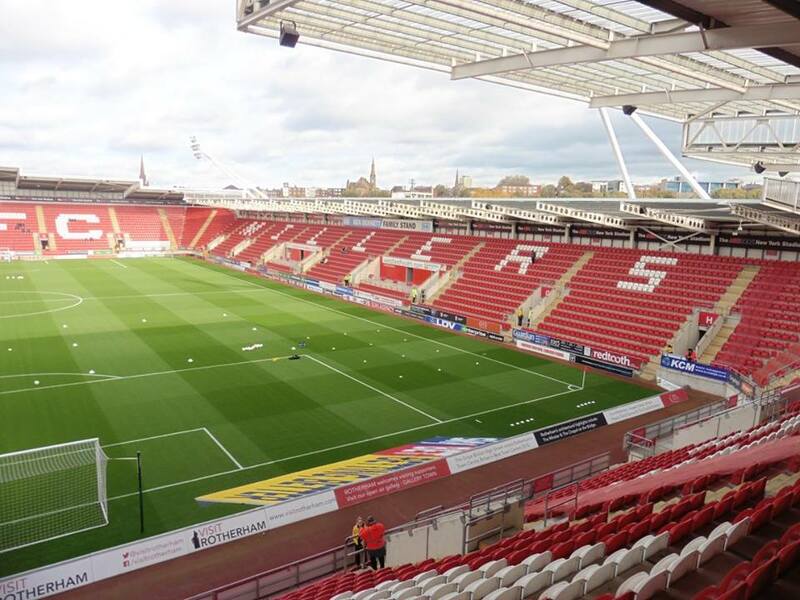 It was home to the Millers from 1925-2008. 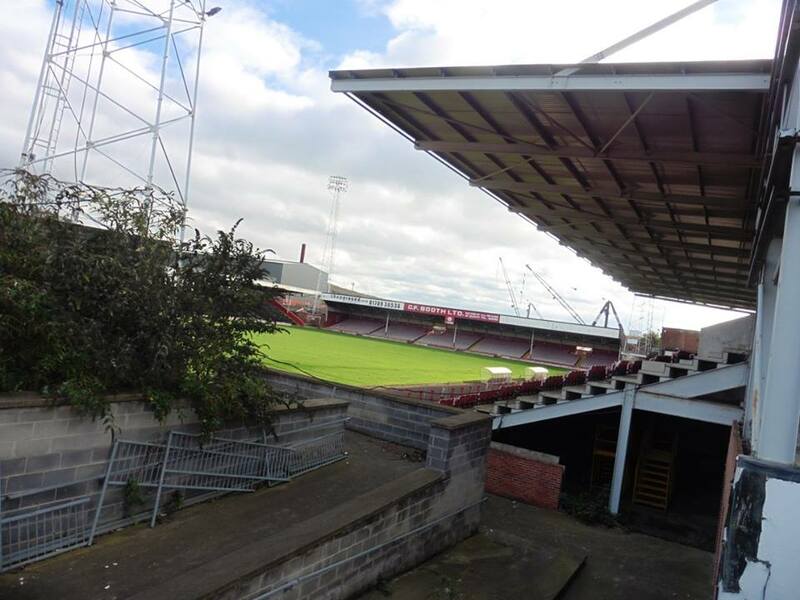 The ground held 8,500 and Millmoor still exists to this very day. 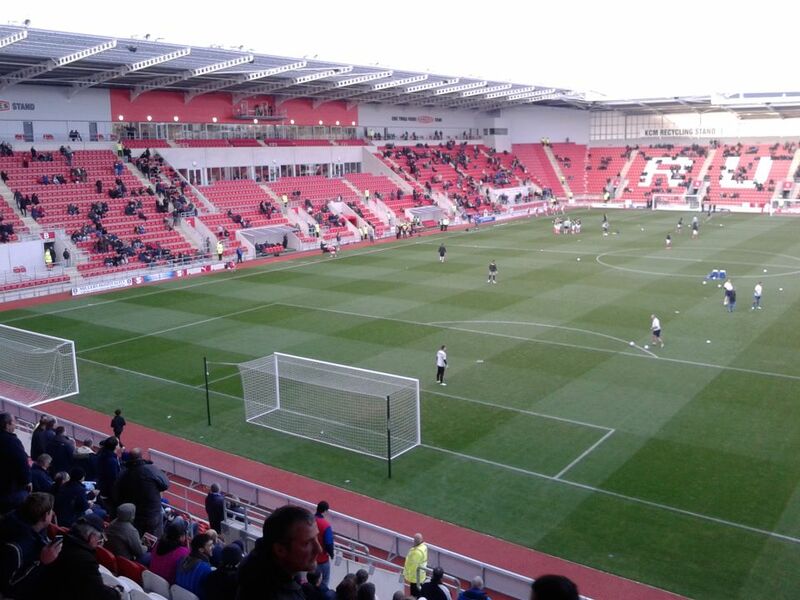 Rotherham also previously played at The Don Valley Stadium in Sheffield which was a temporary move from 2008-2012. Most famous Rotherham fans are The Chuckle Brothers and Referee Howard Webb. There are others but I can't think on the top of my head! 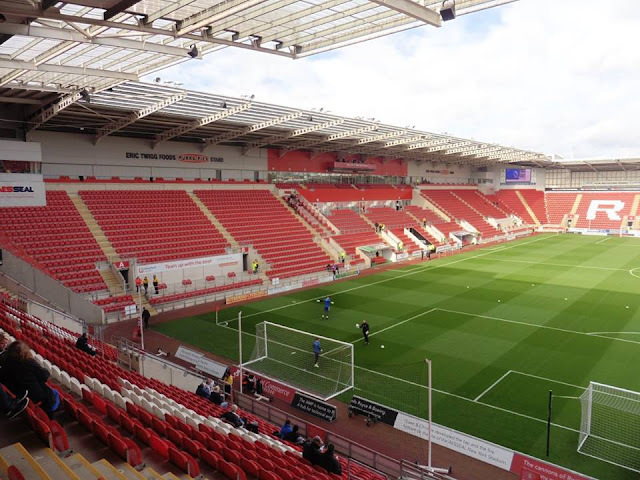 Rotherham United have been playing at The New York Stadium since 2012. Their previous homes were Millmoor and a temporary home at The Don Valley Stadium in Sheffield. The club played at Millmoor from 1925-2008. 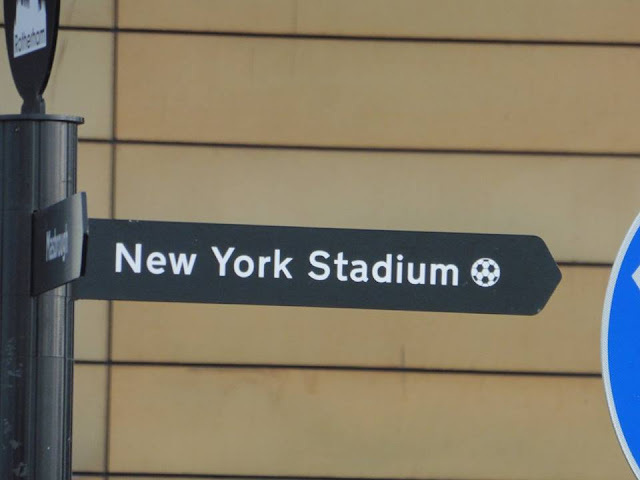 They then moved to The Don Valley from 2008-2012 before moving to the brand new, New York Stadium in 2012. 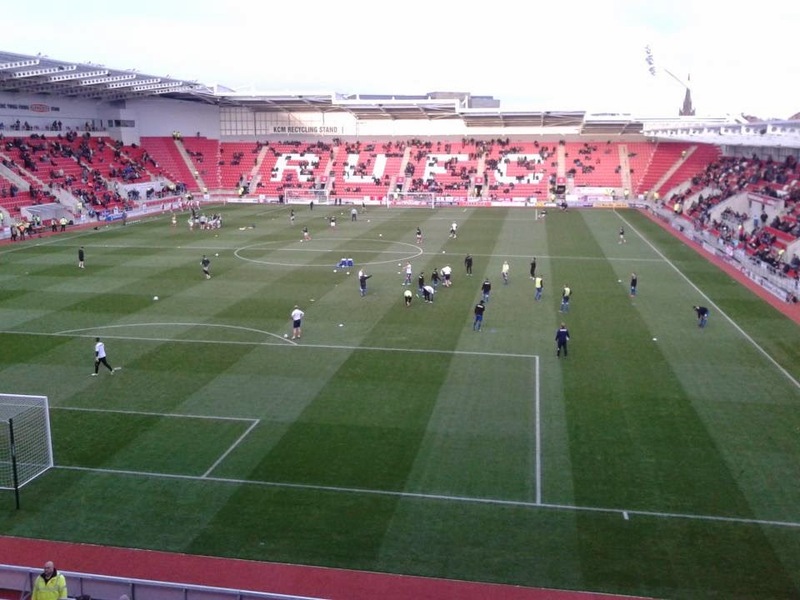 The ground holds just over 12,000 and is a very nice smart ground. Would recommend visiting. 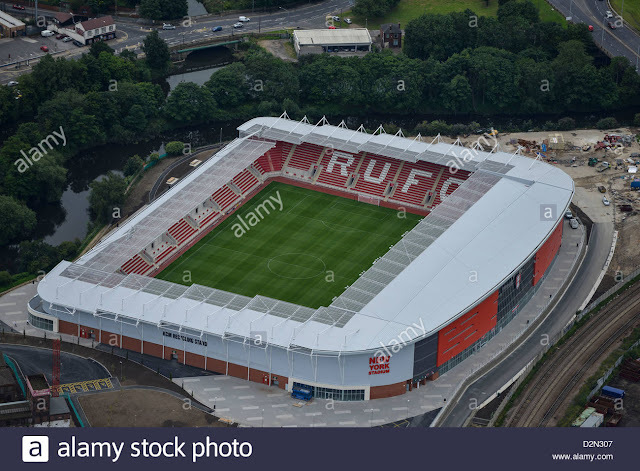 The ground is fairly easy to get to by train, about a 10 minute walk from Rotherham Central. You can't miss the ground as you will see it just before getting into Rotherham Central. 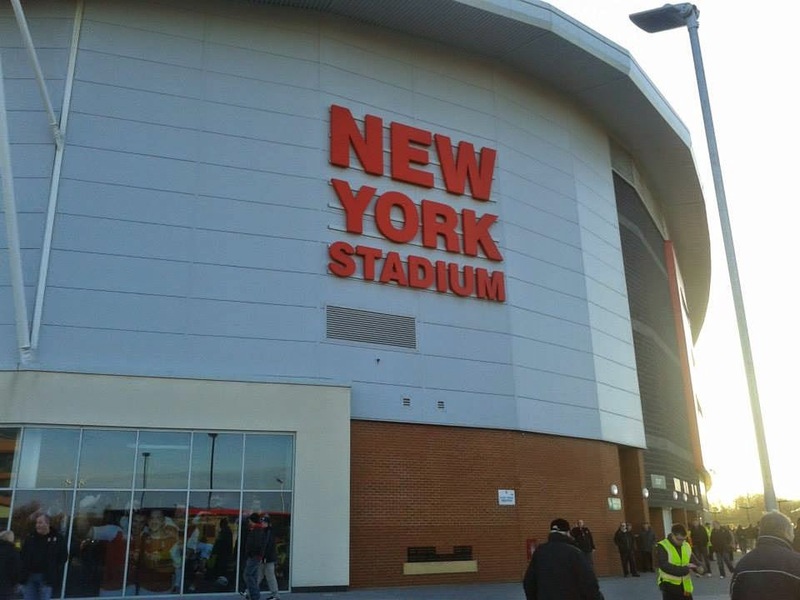 My 1st visit to The New York Stadium came just before Christmas in 2012. 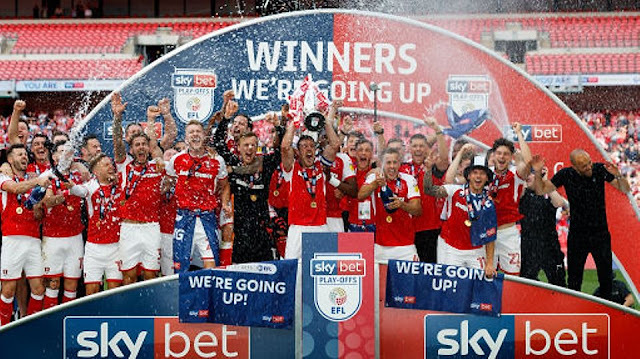 That whole season was just a terrific season anyway, and if I remember correctly, we were top, or at least in the top 2, and Rotherham weren't far behind us in the table at the time. 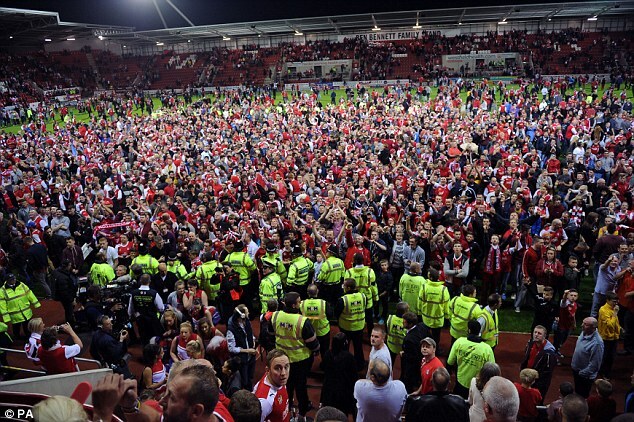 It was a great win which later on in the 2012/13 season saw us become Champions of League Two. My 2nd visit wasn't so great. A 4-1 hammering under Peter Taylor at the time who I'm not a great lover of, and probably most Gills fans aren't either. 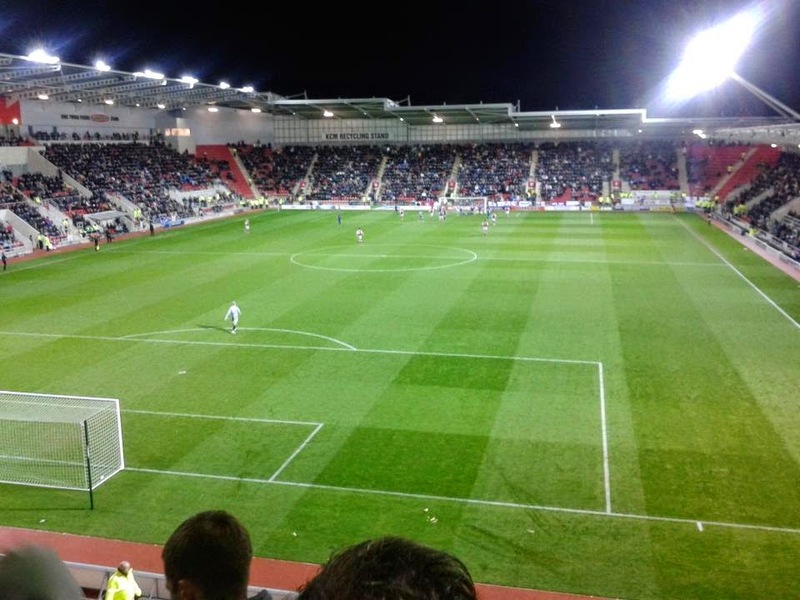 A boring negative style of football game, which saw Rotherham dominate from start to finish and the scoreline is history really. I was quite looking forward to this one. 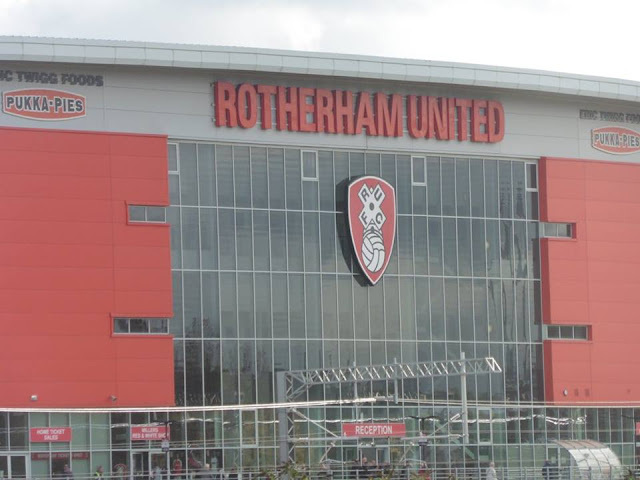 I hadn't been to Rotherham for a while, and always enjoyed visiting Rotherham's ground as it's a nice smart stadium. I booked my train tickets a couple of months in advance and whilst I booked it, I was planning on what I could do. 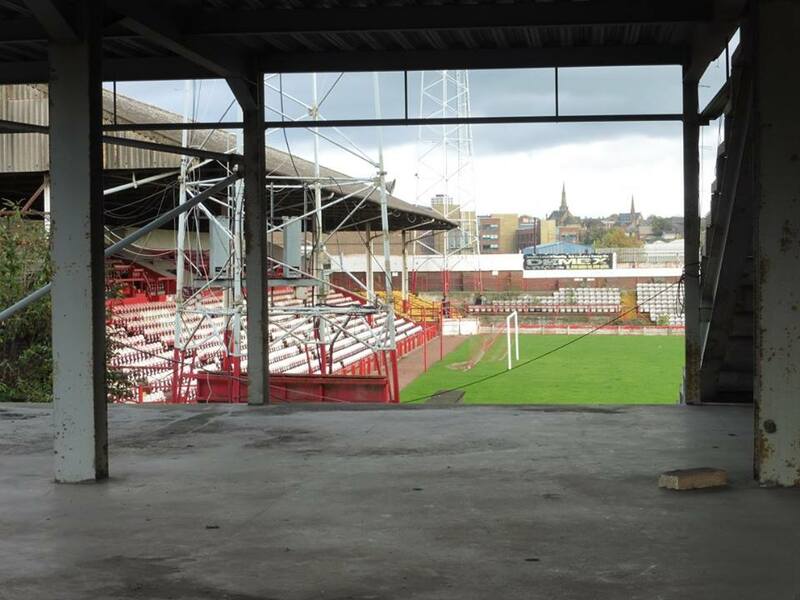 My 1st thought that came to me was of course visiting Millmoor to take some pictures as I knew that was still in existence, and visiting Rotherham's temporary home Don Valley Stadium which of course no longer exists but I still wanted to go and have a look to see what's there now. Of course I did go to The Don Valley Stadium when it existed, by clicking here, you can see my pictures from there. It wasn't a great ground, but then it was an athletics ground so not majorly surprised. Anyway after seeing late drama at Hastings United vs Thamesmead Town on Tuesday night, it was back to away days with Gills again. 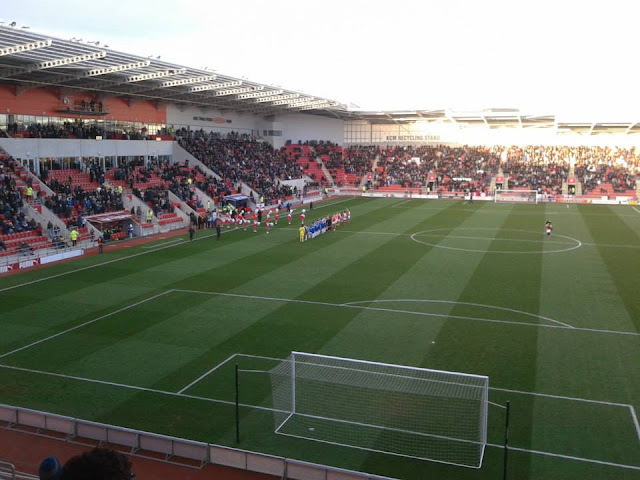 Game 31 for me, a re-visit to Rotherham. I woke up around 6.15am and left home just before 7am. It was also nice to see a fellow Gills fan, Kieron get on at the next stop and had a chat with him on the way up to London. After leaving St Pancras at 9, I arrived into Sheffield at 11. 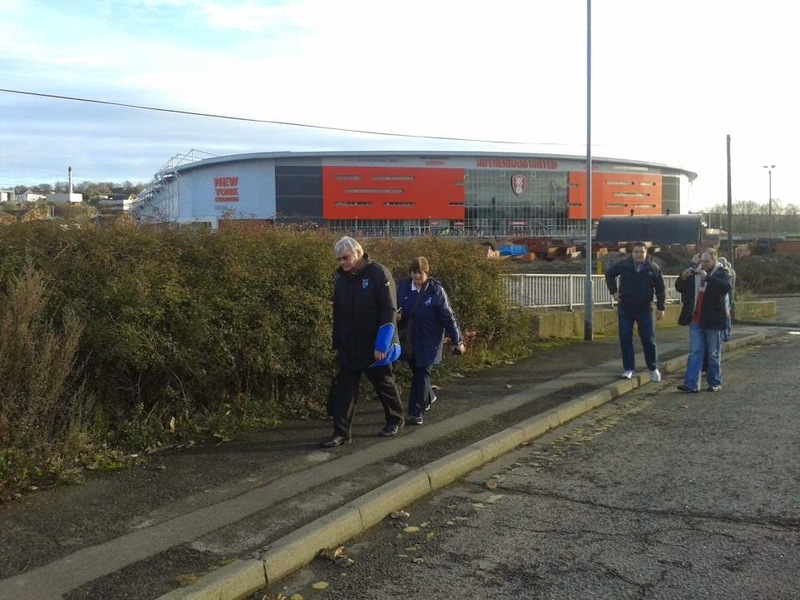 I then got on the Sheffield Supertram and headed towards Arena Don Valley tramstop, which probably took about 10 minutes in total, and then arrived at Worksop Road, where Don Valley used to be shortly afterwards. I took a few pictures and then walked back to the tramstop. The Don Valley is now in fact a school, so was interesting to see. I arrived back to Sheffield train station shortly after 12, killed a bit of time and then arrived into Rotherham after 1pm. 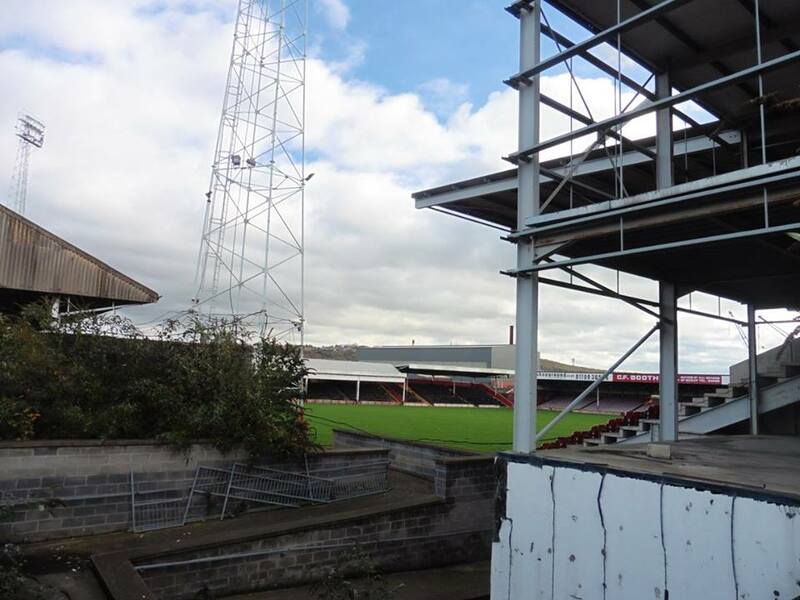 Took a walk to Millmoor, and walked around the ground, hoping there was a gate where I could walk in and take some pictures inside the ground. Sadly I couldn't as it wasn't all barricaded up. Luckly I got a couple of pictures at least as below where I just got my camera above the wall and you can see inside the ground which was pretty good. So, after taking some pictures of Millmoor, I made my way to The New York, which is only a short walk way. Bought a programme, and went in the ground just before 2. The game itself was not what I expected at all. At the start of the day, my head was saying we were going to get smashed by Rotherham maybe 5-1, and my heart was saying a draw. 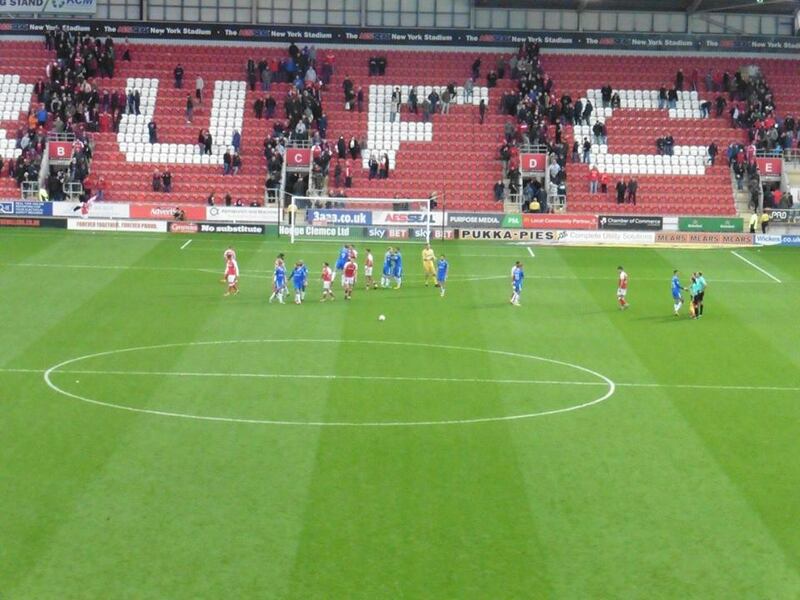 I would have taken a draw before the game in all fairness, as I'm sure most Gills fans would have as well. But to get 3 points, 3 straight away wins is a great achievement by current caretaker boss Steve Lovell. All of goals funnily enough coming from all headers, 2 for Josh Parker and 1 for Tom Eaves, who I have a soft spot for, think he's a great target man, and top scorer so far. We got the job done, we frustrated Rotherham, closed them down well at times and took our chances. 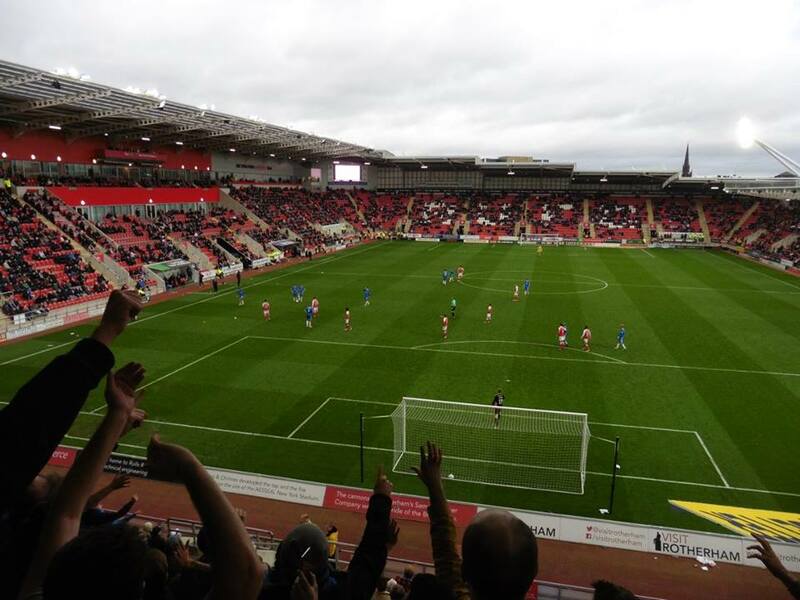 3 points fully deserved, also brilliant for the 274 Gills fans at Rotherham including myself. 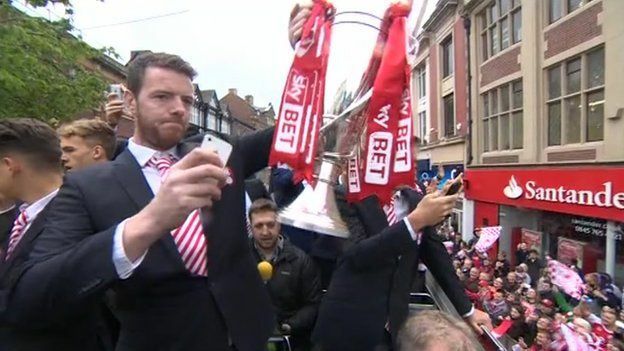 Just a great day in all fairness. Onto next week now, unsure where I'm going on Tuesday night, warming to Staines Town at the moment. Then next Saturday it's the return of the FA Cup with Leyton Orient at home. 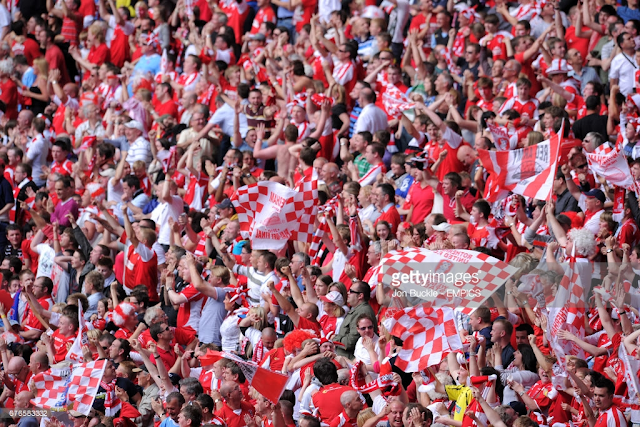 There's days where I hate football, there's also days where I love football. 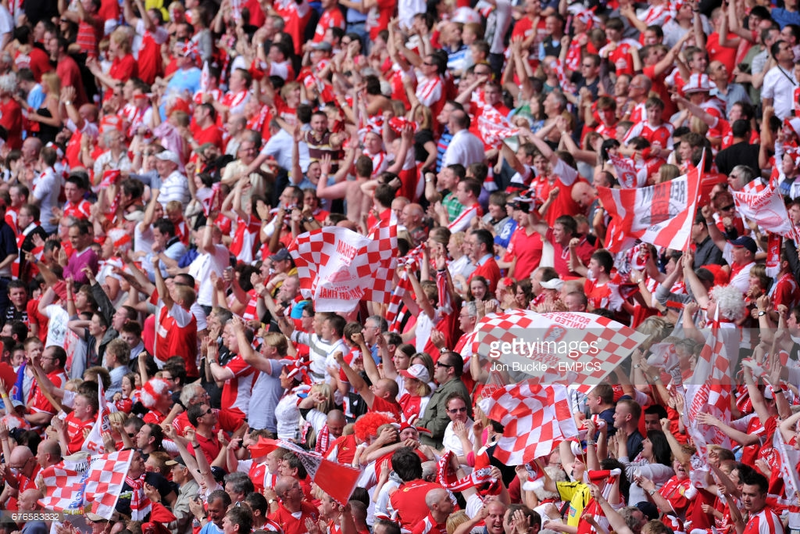 Today, I absolutely love football. 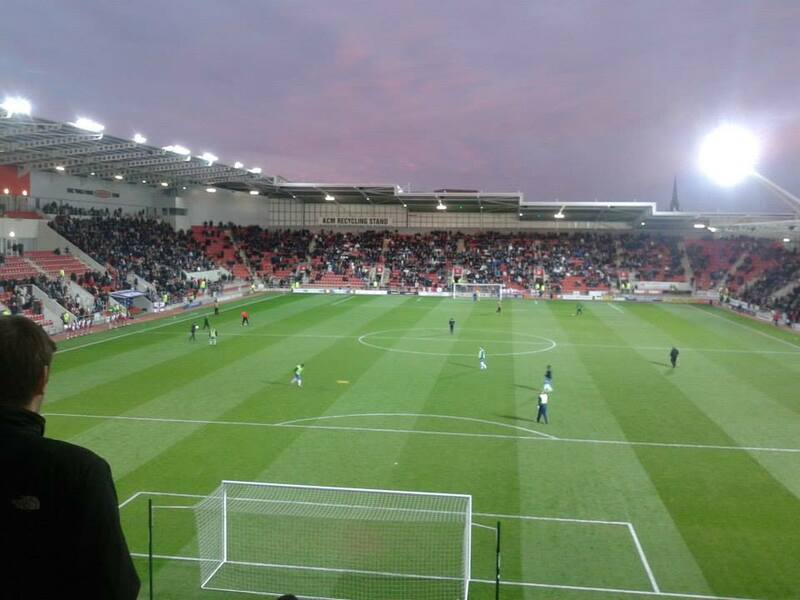 Thanks for reading, and more importantly, Up the Gills!